Cardiac failure occurs when, despite normal venous pressures, the heart is unable to maintain sufficient cardiac output to meet the demands of the body. The incidence of heart failure is estimated at 10 per 1000 over 65 years of age. 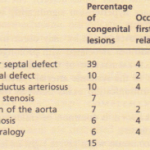 Irrespective of the aetiology of heart failure, the prognosis is poor. Approximately 50% of patients with severe heart failure die within 2 years of diagnosis from either progression of heart failure or sudden death. Haemodynamic effects of myocardial failure When the heart fails, considerable changes occur to the heart and peripheral vascular system in response to the haemodynamic changes associated with heart failure . 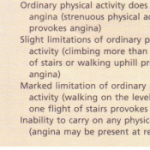 These physiological changes are compensatory and maintain cardiac output and peripheral perfusion. However, as heart failure progresses, these mechanisms are overwhelmed and become pathophysiological. The development of pathophysiological peripheral vasoconstriction and sodium retention in heart failure reflects loss of beneficial compensatory mechanisms and represents cardiac decompensation and are manifest by the onset of clinical heart failure. Factors involved are the venous return, the outflow resistance, the contractility of the myocardium, and salt and water retention. Slight myocardial depression is not associated with a reduction in cardiac output because it is maintained by an increase in venous pressure (and hence diastolic volume). However, the proportion of blood ejected with each heart beat (ejection fraction) is reduced early in heart failure. Sinus tachycardia also ensures that any reduction of stroke volume is compensated for by the increase in heart rate; cardiac output (stroke volume x heart rate) is therefore maintained. When there is more severe myocardial dysfunction, cardiac output can only be maintained by a large increase in venous pressure and/or marked sinus tachycardia. 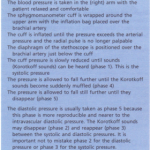 This eventually results in further depression of the ventricular function curve and reduced contractility; the resultant increased venous pressure contributes to the development of dyspnoea, owing to the accumulation of interstitial and alveolar fluid, and to the occurrence of hepatic enlargement, ascites and dependent oedema, owing to increased systemic venous pressure. Despite symptoms due to increased venous pressure, the cardiac output at rest may not be much depressed, but myocardial and haemodynamic reserve is so compromised that a normal increase in cardiac output cannot be produced by exercise. In very severe heart failure the cardiac output at rest is depressed, despite high venous pressures. The inadequate cardiac output is redistributed to maintain perfusion of vital organs, such as the heart, brain and kidneys, at the expense of the skin and muscle. 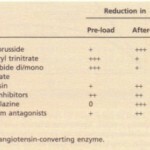 An increase in after-load decreases the cardiac o utput. This decrease in function with further increase of enddiastolic volume and dilatation of the ventricle itself further exacerbates the problem of after-load. This is expressed by Laplace’s law: the tension of the yocardium (7) is proportional to the intraventricular pressure (F) multiplied by the radius of the ventricular chamber (R), i.e. T IX PR. Myocardial contractility (inotropic state) The state of the myocardium also influences performance. Increased contractility (positive inotropism) can result from increased sympathetic drive, and this is a normal part of the Frank-Starling relationship. 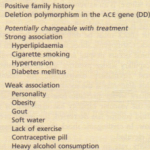 Conversely, myocardial depressants (e.g. 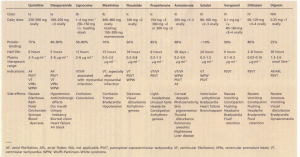 hypoxia) decrease myocardial contractility (negative inotropism). venous pressure do not provoke an increase in cardiac output. This retention of sodium is in part compensated by the action of circulating atrial natriuretic peptides. 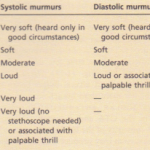 These are short -chain pep tides secreted by the atria in response to distension. These atrial peptides are potent vasodilators with natriuretic properties and levels rise considerably in heart failure. The effect of their action may represent a beneficial, albeit inadequate, compensatory response tending to reduce cardiac load (pre-load and after-load) by vasodilatation and by enhancing sodi m and water excretion. The precise way in which haemodynamic and neurohumoral factors interact and contribute to the progression of heart failure remains unclear. Both increase ventricular wall stress which promote ventricular dilatation and further worsen contractile efficiency. In addition, prolonged activation of the sympathetic nervous and renin-angiotensin-aldosterone systems exerts direct toxic effects on myocardial cells. The realization over recent years that heart failure was not just a mechanical disorder but involved considerable pathophysiological changes has improved our understanding of many clinical aspects of the heart failure syndrome and also has provided a more rational basis for treatment.